We believe having active and effective communication with our Grassroots community is an imperative part of our business. We love to share our ideas, current events, and announcements and we want others to do the same. Here is how we design and distribute our newsletters. There are many different systems that you can use to distribute your newsletter, but we like to use Mailchimp. We love using it for its simplicity to design, edit and track the effectiveness of our newsletter. 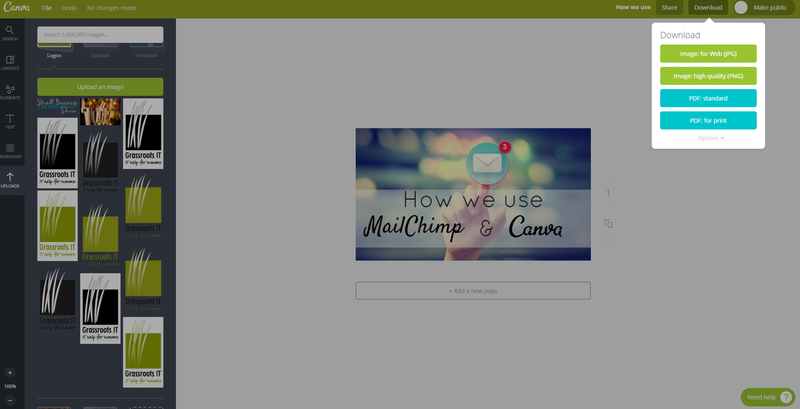 With Mailchimp, you can design your own email newsletter or use the service’s professionally designed templates. There are hundreds to choose from. 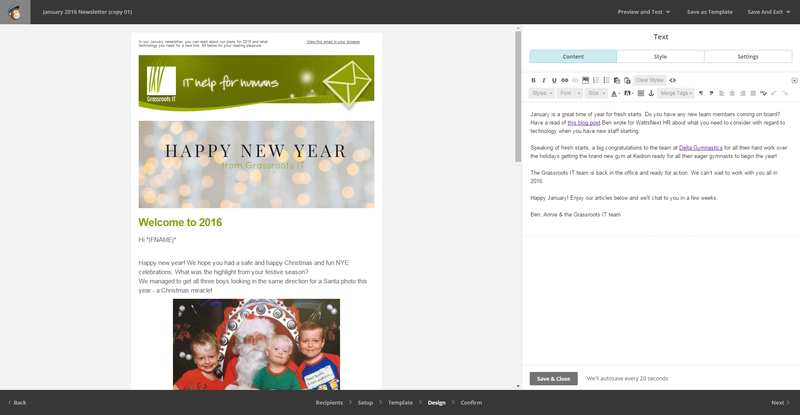 Add your own images to your email and customize the template to your satisfactions. You can save the template and come back to it at a later date, or even send a test email to see what the reader will see when they open it. With regard to the database, Mailchimp can easily import your contacts and sort them into Lists so you can send out different types of emails to different groups of contacts. 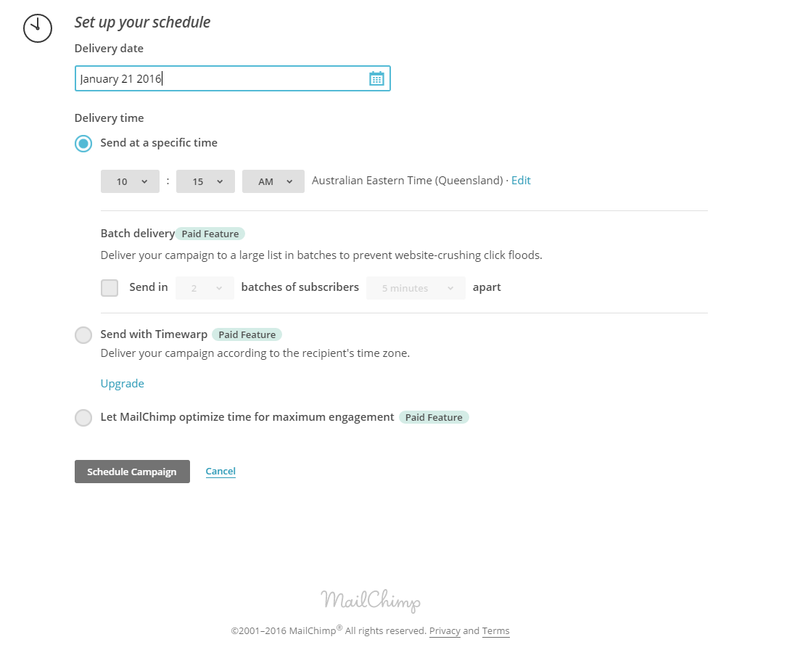 If you need an email to go out on a particularly date and time, you don’t even need to be sitting at the computer - Mailchimp can easily schedule a newsletter to be sent at a convenient future timeslot. 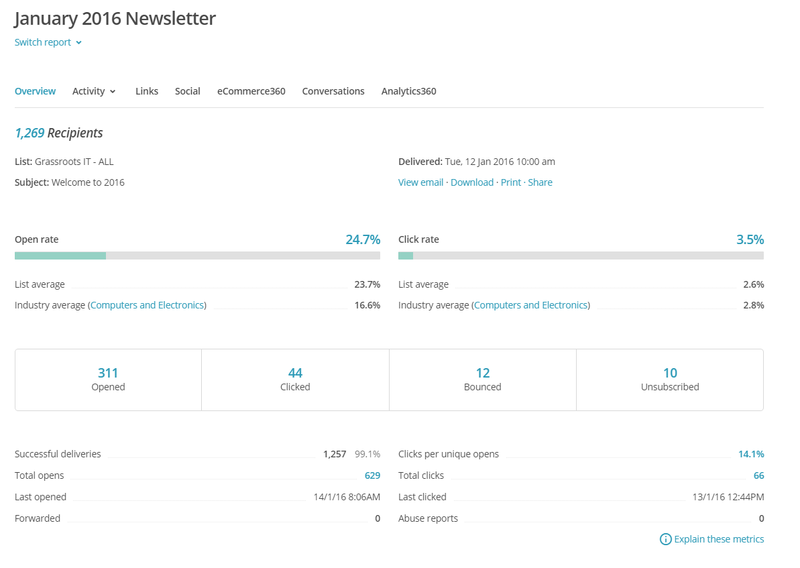 After you’ve sent out your email, MailChimp will collect and analyze your data and provides excellent visual representations of that data in several formats. You can view subscriber activity, social stats, click performance and advanced reports, or look at an overview of all information. You can see easily view all sorts of information, such as which countries your readers are from, what time they opened the email and even which links they clicked on. More often than not, people get scared when it comes to designing marketing collateral for their business. They think they’re not creative enough or just simply do not have the skills. If this is you, do not fear – we have a secret to share with you! Canva is another simple tool we use to design all of the imagery we use for our business. All our social media posts are designed with Canva. Posters, invitations, email headers…the list goes on. Canva has a template for everything and even has step by step instructions on how to maximise their tools to suit your marketing needs. 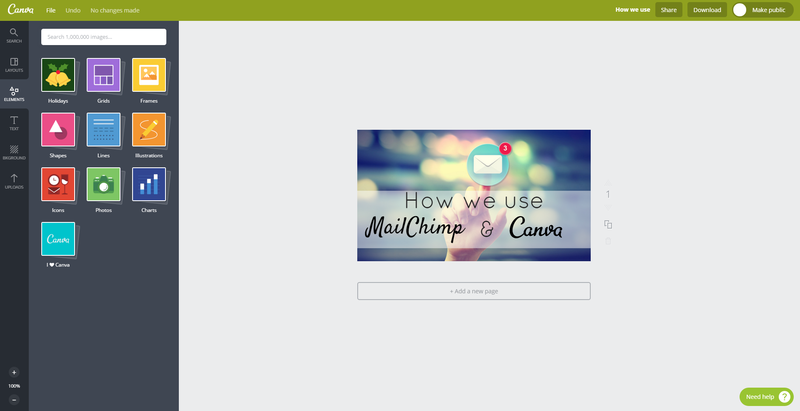 What’s more, is that there is an awesome upgrade for businesses that we use called Canva for Work. The key features of this upgrade include being able to use our own brand colours, logos and fonts to brand all of our images. Canva allows you to save in either a digital or print format so the quality of the image is right for its use. Not only are these two programs super easy to use, they are huge timesavers for our business and allow us to engage and connect with our community more frequently and easily.